Home / STOP SOPA / PIPA! “I am writing to you as a voter in your district. I urge you to vote “no” on cloture for S. 968, the PROTECT IP Act, on Jan. 24th. The PROTECT IP Act is dangerous, ineffective, and short-sighted. It does not deserve floor consideration. I urge my representative to vote “no” on SOPA, the corresponding House bill. Here at Geek Montage, we believe that SOPA / PIPA are terrible on so many different levels. Such legislation should not even be remotely considered, but unfortunately this is the type of world we live in. 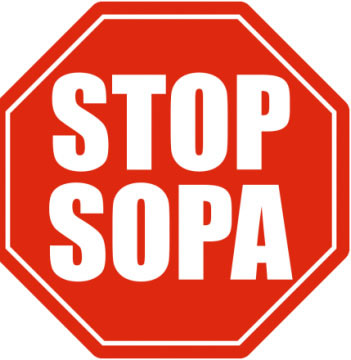 Say NO to SOPA! After all, SOPA is just “soup”. This entry was posted	on Wednesday, January 18th, 2012 at 2:40 AM	and is filed under News. You can follow any responses to this entry through the RSS 2.0 feed. You can leave a response, or trackback from your own site.